Exclusive footage was broadcasted on Music Box channel on February 28, 2010. More videos will available soon. Thanks to Hikari (tatu.ru/forum). 28 February we’re announcing t.A.T.u. day at Music Box Channel. All day long t.A.T.u. videos will be heavily played. All day long rare never-seen-before documentary pieces will be broadcasted. And starting from noon /Moscow time/ Lena Katina will chat with you in a TV chat. You can also leave your questions at channel’s website. You can watch Music Box ON-LINE. MUZ-TV interviewed Yulia Volkova on February 24, 2010. She said that her debut single and music video will be released in the summer. Thanks to Dennis (tatu.ru/forum). 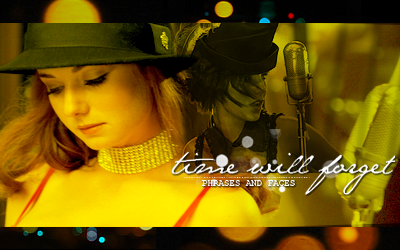 Our page for t.A.T.u. collecting will be opened soon. Header by Ira. We have created a new page for animations. More animations will be available soon. Thanks to Liana (Yulia'sFan). Yulia Volkova celebrated her 25th birthday at club Isterika in Moscow, Russia. Thanks to Esc (tatu.ru/forum). Thanks to Anka_PylemeT4ica, Yanka and romzess (tatu.ru/forum). Note: All fan meeting photo albums have been moved to the category Fan Meetings in our photo gallery. Yulia Volkova met with fans on her 25th birthday in Moscow, Russia. Thanks to romzess (tatu.ru/forum). - She has recorded 2 songs in English. - Her official website will be opened in March. - Her manager is David Junk. Nikolas Pallonen released a remix of “Little People” from t.A.T.u.’s album “Waste Management”. Click here to download the file from his official PromoDJ page. Note: We are going to post more streaming audio in the future. Yulia Volkova celebrated her 25th birthday at club Isterika in Moscow, Russia. Among the guests were her parents Larissa and Oleg Volkova, her husband Parviz Yasinov and her friends Sergey Lazarev and Alexey Mitrofanov. Thanks to Xen and t.a.t.u.FAN (tatu.ru/forum). The official t.A.T.u. YouTube channel has uploaded part 4 of the t.A.T.u. fan party on January 16, 2010. Yulia Volkova and Parviz Yasinov attended a party on February 18, 2010 in Moscow, Russia. Thanks to tebya_skuchayu (tatu.ru/forum). We have opened our birthday page for Yulia Volkova. Please, post your birthday wishes there. The official t.A.T.u. YouTube channel has uploaded part 3 of the t.A.T.u. fan party on January 16, 2010. We have updated our icon archive, including new artists. The official t.A.T.u. YouTube channel has uploaded part 2 of the t.A.T.u. fan party on January 16, 2010. We have updated our banner archive, including new artists. We are pleased to announce that Vicente from Venezuela has won FHM magazine from September 2003, featuring a photoshoot by Antoine Verglas. Congratulations, Vicente! And thank you to everyone who entered! Note: We plan on doing more giveaways in the future. The official t.A.T.u. YouTube channel has uploaded part 1 of the t.A.T.u. fan party on January 16, 2010.